So I posted that astronaut to polycount and recieved numerous critiques about how it didn't look the best. "Fair enough" I say. 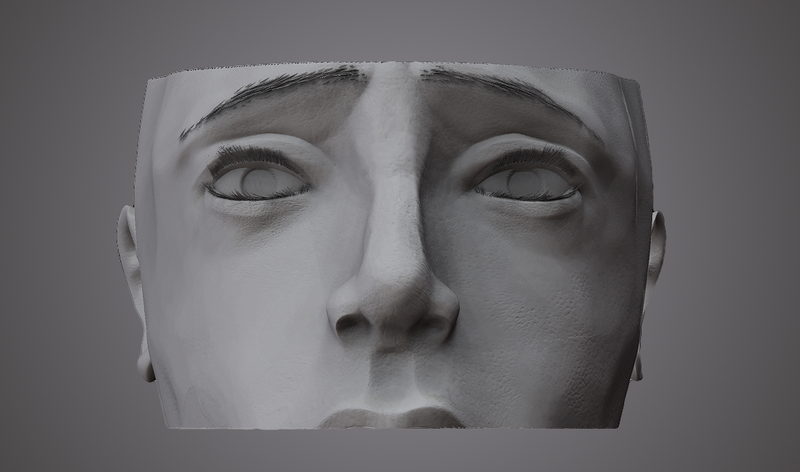 Taking that criticism in stride, I moved onto making a face to show some more of my ability in the facial sculpting field. There's plenty wrong with it, but when you consider my past endeavours I'd say it's a step up. To cut this short, I'm going to start studying anatomy. I purchased a copy of Eliot Goldfinger's Human Anatomy study for Artists, so now I've got to put that money to good use! It's time to train my eye and hand, folks. This is going to take a couple of years, but hopefully there's some solid improvement in the first few months. It's time for the hike. Made a skull to start off my anatomy course today. Plenty of work needs to be done on it for it to even be considered "final", but for a 3-hour sculpt I'd say it went okay. Another update of the skull (as well as my layout) below. Worked on a female face on the weekend. Beginning work on "Hangman", a model based on one of my friends military uniform "kits".